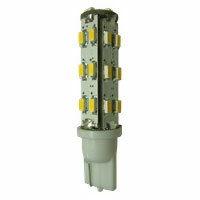 27 SMD LED bulb. 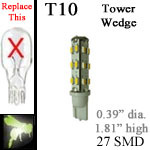 Marine replacement light bulb with T10 socket in a tower style LED bulb. This LED is able to function on an input of 10-30 volts DC.